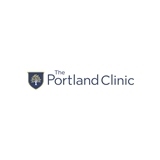 The Portland Clinic - Internal Medicine (Beaverton) - Book Appointment Online! She was great, to the point, had strong opinions - which I like and prefer. Very upbeat and helpful. Highly recommended. I really liked her. She was efficient and fast and I felt like she was in tune to issues that would specifically effect me as a mom of four and woman in general which I haven’t always had in the past. I was referred to general surgery about an issue I have and they called me within a few hours of my appointment which is crazy! I highly recommend this provider and office in general. It was a pretty brief appointment--I got in and out quite quickly, with limited wait time. He seems very sincere and knowledgeable.So far very happy with him.